In the wake of an election seen by many as a triumphant victory for “moral values,” political commentator and one-time seminarian Bill Press launches a counteroffensive against the so-called religious right. For decades, Press argues, conservative preachers such as Jerry Falwell, Pat Robertson, and James Dobson—joined by most Catholic bishops—have defined religion so narrowly that Democrats and liberals have been pushed outside the fold. According to their narrow gospel, God put George Bush in the White House to deal with gays, guns, and abortion—and those who don’t agree are on the sure road to hell. Bill Press says it’s time to take religion back: “Who gave this gang the inside track on religion, anyway? The way I read the Gospels, Jesus was as liberal as Paul Wellstone. He sure as hell wouldn’t have been a registered Republican. One other thing’s for sure: if Jesus ever came back to earth, there’s one gang he wouldn’t hang out with; and that’s this phony bunch of pious, puffed-up preachers who wear religion on their sleeves. 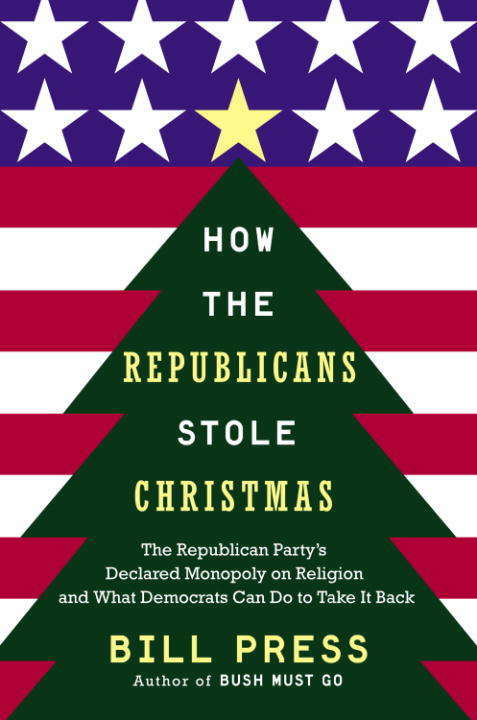 ” How the Republicans Stole Christmasis also Press’s fervent call to Democrats and liberals to reclaim religion and return it to its basic principles of social justice, charity, and tolerance. Press argues that the Right didn’t just steal religion, the Left let them have it, offering no resistance as conservatives dictated what’s right and what’s wrong. But on today’s social issues, according to Press, religious conservatives have gotten it all wrong. They have turned Jesus from a loving Messiah who championed the poor and dispossessed into a cold-blooded advocate for the rich and powerful. Press does not confine his criticisms to so-called Christian leaders; he uncovers the same wrong-headed tendencies in other faiths and among nonbelievers, who even today cling to the Old Testament as an appropriate code of behavior. From the Hardcover edition.